As a lightweight metal, aluminum has long been the metal of choice for creating airplane propellers. In fact, aviation advances over the last hundred years have run parallel with the development of advanced metal alloys for making airplane components – including propellers. Among the first aviators to use aluminum in their aircraft designs were the Wright Brothers. They created a custom aluminum casing for their first aircraft engine. In the decade before World War II, revolutions in structural engineering – especially as it related to the creation of lightweight metals – led to the evolution of aircraft from wood-and-fabric to full metal. However, it was not the move to metal that led to the real revolution of aviation in the 1930’s – it was advances in airplane wing and propeller design. Taking those new designs and integrating them with new aluminum alloys led to big changes in overall aircraft efficiency and performance. While aluminum was used throughout the early history of aircraft for other parts of the plane due to its light weight, it wasn’t until after World War II that aluminum propellers became common enough on aircraft to put into large scale production – Hartzell Propeller began manufacturing aluminum propellers in 1948. Today, aluminum propellers are often strengthened through the use of advanced aluminum alloys. For instance, the use of copper and zinc mixed with aluminum will alter its properties so that it may be both hardened and softened through the application of heat. Aluminum alloys may contain copper, manganese, magnesium, silicon, and/or chromium to increase strength and durability. 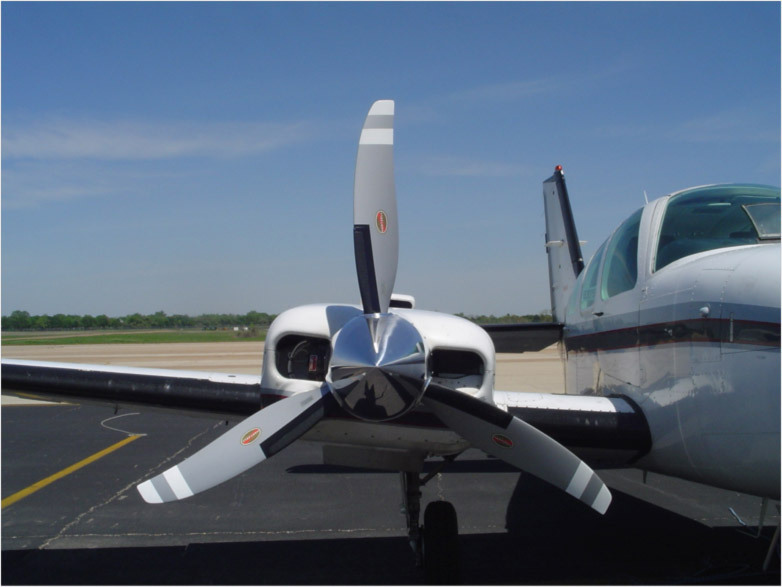 Check out some of the aluminum propellers we offer at Hartzell.